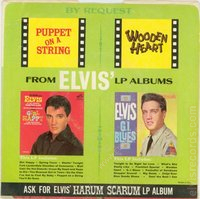 Disc: (10/1965)3 Gold Standard. 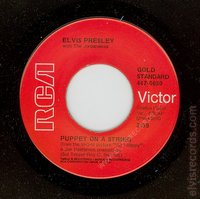 Black label, dog on side. 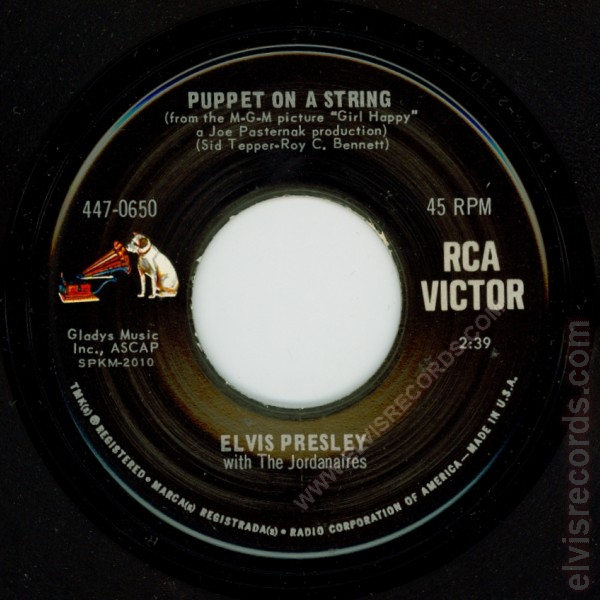 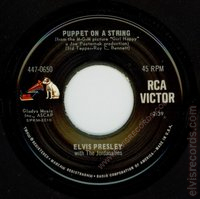 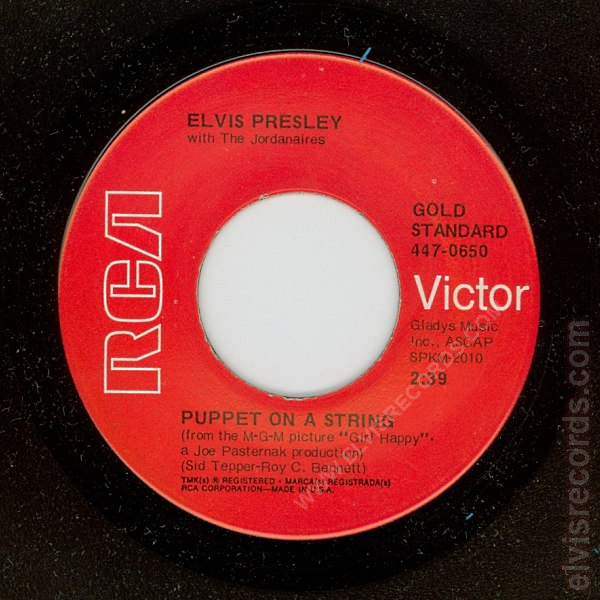 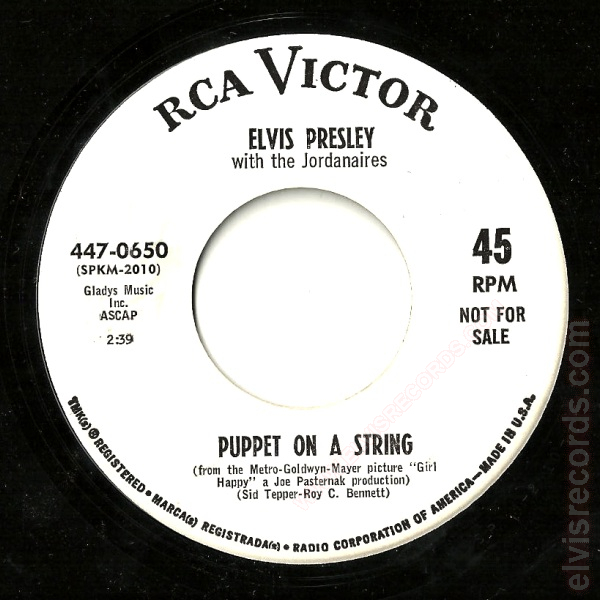 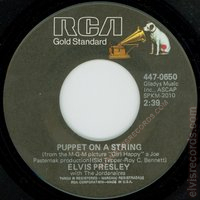 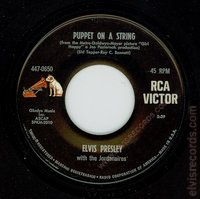 On the Puppet on a String side, with The Jordanaires. ASCAP on shared line. 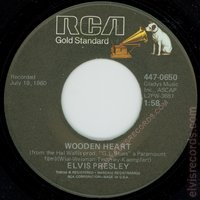 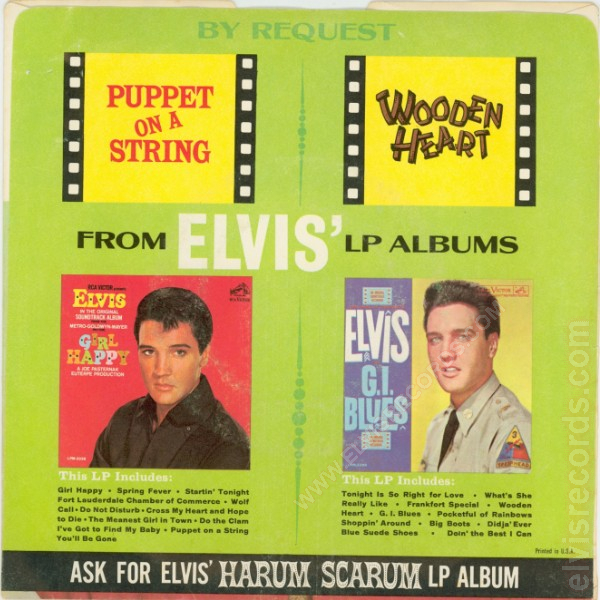 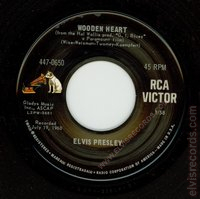 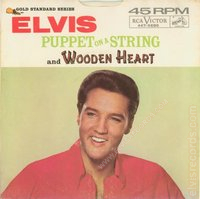 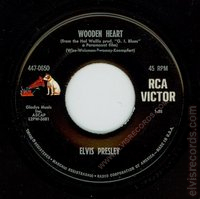 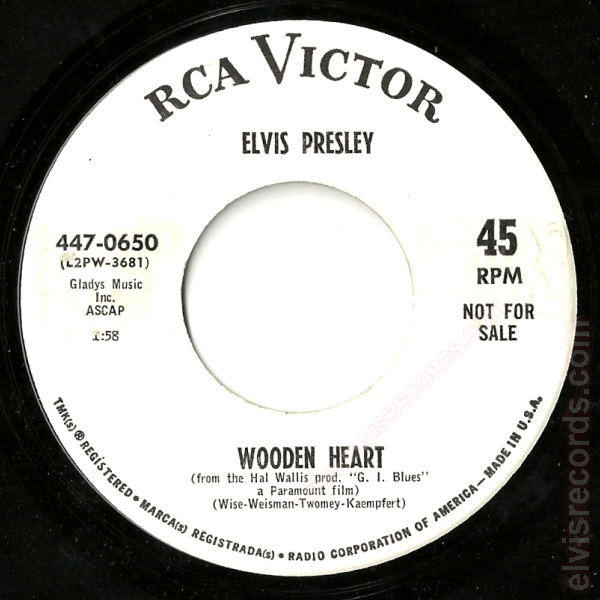 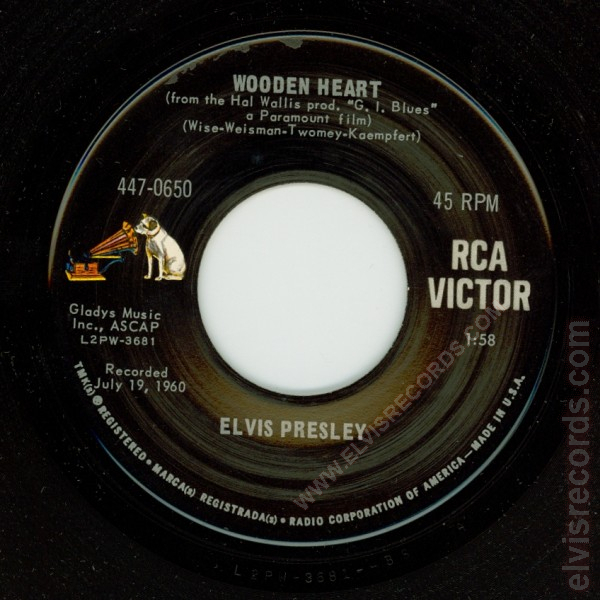 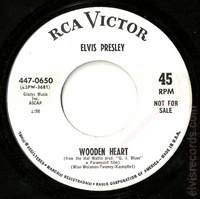 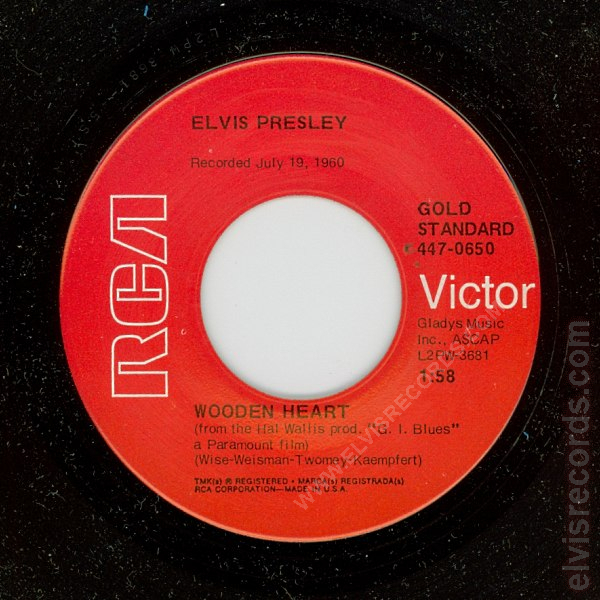 On the WOODEN HEART side, the date is closer to the matrix number than ELVIS PRESLEY. 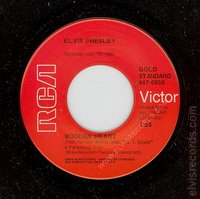 Disc: (10/1965) Gold Standard. 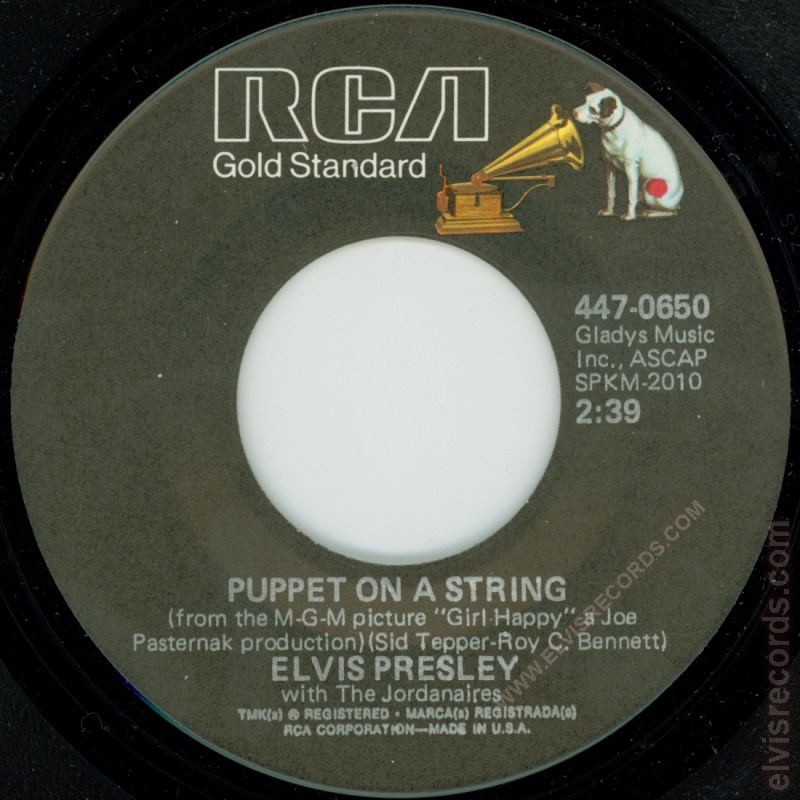 Black label, dog on side. 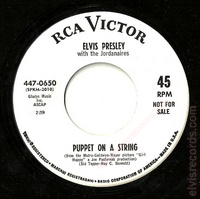 On the Puppet on a String side, with the Jordanaires. 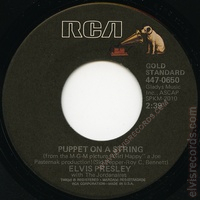 ASCAP on own line. On the WOODEN HEART SIDE, there is no date on side.